While internet filmmakers all over the globe are partaking in similar styles of filming musicians on the streets, it’s always interesting to see the videos that have musicians in a whole other country than their own. The people on the streets react differently when it’s not their language, and you can sense some hesitation from the musician at times. 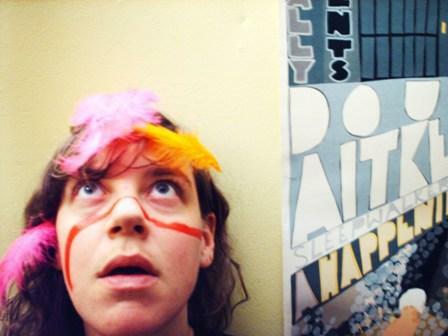 Merrill Garbus, aka tUnE-yArDs, has her second album w h o k i l l, coming out April 19. We’ve already heard “Bizness,” but now we get to see her play “Doorstep” in Paris. Also, some hometown reppin’ for “Bizness,” here’s Merrill and her wicked band playing the song at local indie record shop Soundscapes when she was here last summer. I’m still kicking myself for missing this (although I did see her play that night and it was one of the coolest shows I’ve seen). This entry was posted in Uncategorized and tagged American music, Music, new album, New Releases, tune-yards, Upcoming Albums, Upcoming concerts, Video by Jessica Lewis. Bookmark the permalink.